Get your crunch and munch on while watching Empire with Cookie Lyon-inspired cookies from the acclaimed David Burke Group. That's right, they did it for the Cookie. The sweet and savory cookies ($4.95 each) are currently available at David Burke at Bloomingdales located at 1000 Third Avenue. Executive Pastry Chef Zac Young has crafted a delicious and stylish cookie inspired by the Empire matriarch's sweet, salty and totally fierce personality, masterfully portrayed by Academy Award nominee Taraji P. Henson. 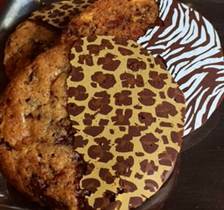 Zac’s delectable chocolate chip cookies are infused with caramel and sea salt, and decorated with bold animal print patterns inspired by Cookie's urban chic flair for fashion. But if you're not in New York City or you prefer to make your own Cookie-inspired cookies, the David Burke Group has generously shared the yummy recipe with Everything She Wants. · In a large bowl, whisk together the flour, baking soda, baking powder and salt, set aside. In a stand mixer, fitted with the paddle attachment, cream the butter and sugars on medium speed until light and fluffy. Add the eggs one at a time, scraping down the bowl after each addition. Add the vanilla extract and mix until combined. On low speed, add the flour mixture in two instalments and mix until just incorporated. Add the chocolate and mix until evenly distributed. 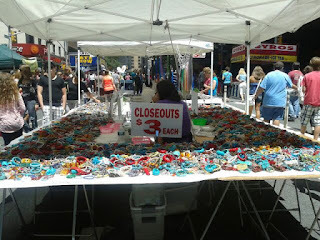 · Scoop the dough using a 1.5 ounce ice cream scoop onto two parchment lined cookie sheets. Sprinkle the tops of each cookies with a few flakes of the Maldon salt. Bake for 12 to 16 minutes until the edges are golden brown but the centers of the cookies are still light. Let cool on the pan. · Microwave the 61% chocolate until two thirds of the chocolate is melted. stir the chocolate so the residual heat melts the remaining chocolate. Dip half of each cookie into the melted 61% chocolate, let the excess chocolate drip off the cookie before laying back on the parchment lined cookie sheets. Let sit so the chocolate hardens. If desired, decorate the cookies with a colored cocoa butter “transfer sheet” or draw stripes with melted white chocolate.